Posted by Dustin Miller on May 15, 2013. No matter how experienced you are with Google AdWords, any professional pay-per-click manager understands the importance of having a second pair of eyes (or six) review their account. The countless features and nuances of AdWords make it virtually impossible to maintain flawless campaigns. 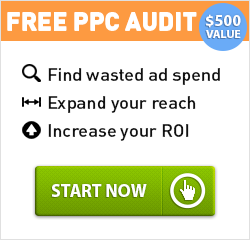 This is why PPC Professionals offers a free AdWords audit. Our team is deeply familiar with the intricacies associated with PPC marketing, and can provide expert insights and advice that will help you improve the overall performance of your AdWords account. We will help you discover where you are wasting money, expand the reach of your ads and ultimately, increase your ROI. We are currently giving away five free AdWords audits, valued at $500 each, to the first five pay-per-click managers to contact us over the next 30 days. Enter for a Free PPC Audit and don’t forget to tell other PPC managers about this limited-time offer!